Why do Muslims pay 2.5% of their wealth to the poor? – WhyDoMuslims? 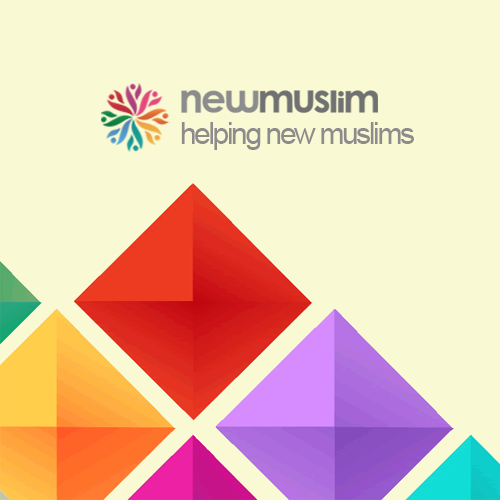 You are here:Home-Uncategorized-Why do Muslims pay 2.5% of their wealth to the poor? Why do Muslims pay 2.5% of their wealth to the poor? What is Zakat and why should Muslims pay it? Zakat (also known as ‘Zakah’), is the giving of a set amount of your wealth to charity. Muslims pay Zakat as an act of worship, and although it is sometimes compared to a tax, it isn’t like taxes imposed by governments. Zakat is a spiritual duty, solely for the sake of Allah. It is the third pillar out of the five pillars of Islam and extremely important to Muslims around the world. Zakaat is mentioned alongside Salah (prayer) in 82 verses of the Qur’an. The Arabic word ‘Zakat’ literally means ‘to cleanse’ or ‘purification’ and by fulfilling this religious duty, Muslims ensure that their wealth has been purified for the will of Allah. What are the benefits of Zakat? Zakat has many spiritual and worldly benefits. Muslims believe that by paying Zakat they are doing Allah’s will and acknowledging that all of their wealth comes from Allah as a loan – they do not own anything themselves. By performing Zakat, Muslims learn to behave with honesty and to place less importance on material possessions. Zakat is about practicing self-discipline and freeing oneself from greed, the love of money, and the love of oneself. Why pay Zakat? Is it obligatory? Muslims must pay Zakat to fulfil the commandment of Allah and to take care of needy people around the world. Charity existed in Islam from the very beginning of the formation of the faith, and Zakat’s obligatory status is based on the book of Allah, the Qur’an, the teachings of the Prophet Muhammad, and the consensus of his companions. Who has to pay it? Every Muslim who has reached puberty, is of sound mind, and has above the minimum required amount of wealth (Nisab) is required to perform Zakat. The usual amount donated is 2.5% of a person’s total cumulative wealth in one lunar year. The value of the Nisab in prophetic tradition is 87.48 grams of pure gold, or 612.36 grams of silver. The monetary value of the Nisab will vary by current prices, and scholars recommend that Muslims apply the Nisab value of silver instead of gold, to ensure that more people are eligible for Zakat. The date that your wealth equals (or is greater than) the Nisab should ideally be marked as the beginning of your first Zakat year. Once one lunar year (Hawl) has passed, then Zakat should be paid. Many people choose to give their Zakat in the month of Ramadan, because it is a time of great blessings and the rewards for good deeds are believed to be even greater in this sacred month. Anyone who is poor or destitute is eligible to receive Zakat, including those who are in debt and unable to pay it back. The poor refers to those who have the minimum amount of wealth whereas the destitute are those who own nothing. Zakat is compulsory on four types of wealth; money, trading goods, agricultural products, and animals. Money includes financial assets such as cash, bonds, stocks, savings, loans given, and funds received. About giving to charity out of kindness. Zakat is different to regular charitable giving (such as Sadaqah or Sadaqah Jariyah), because it is a yearly spiritual obligation. Muslims are also expected to donate to good causes out of personal generosity. A tax. Tax is requirement of secular (non-religious) law. For burying the deceased or clearing their debts. Optional. All Muslims should pay their Zakat.